Christians and non-Christians alike usually can agree that Jesus is the best role model to have. From His faith, perseverance, generosity, and even His intelligence, people see the best qualities that mankind can possess. The Bible teaches everyone to become more like Jesus each and every day, so it’s helpful to learn about some of the character traits He had. 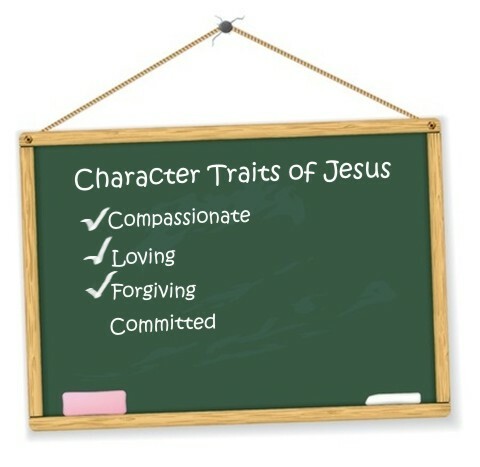 The following is a list of 10 character traits of Jesus that everyone should emulate. Jesus never looked away from people; He always looked upon them and had compassion (Matthew 9:36). Whenever people were around him, Jesus understood what their real needs were and sought to address them. For some, physical healing was necessary, for others the root issue was spiritual. In all cases though, Jesus took the time to actually notice that people were hurting—and His compassion drove Him to help them. Without a doubt, Jesus was the ultimate servant. Although He was praised as a great teacher and even had a decent following, He made sure to teach them to be servants by actually doing it himself. In Mark 10:45, Jesus even tells everyone: “the Son of Man came not to be served but to serve” Despite having the authority to get anything He wanted, have people praise and pamper him, He did the exact opposite by lowering himself and serving others. Obviously, Jesus had a love for others. If He didn’t, He wouldn’t be compassionate nor a servant. Jesus claimed that there is no greater love than to die for one of your friends—and He did just that. If anyone doubts His love, all they have to do is look upon the cross and see the agony that He bore for their sakes. He experienced that horrible death so that all can be saved. That, very clearly, is true love at its finest. One of the most startling things said in Scripture is found in Luke 23:34, when Jesus is on the cross and proclaims: “Father, forgive them, for they know not what they do.” Even while bleeding and experiencing pain, Jesus had His heart set on forgiveness—even forgiving those who put Him there in the first place! This is definitely contrary to the everyday mantra of looking out for number one and obtaining personal justice. Jesus was by no means concerned for His own life; all He wanted was to provide a way for forgiveness. Jesus had no lack of commitment whatsoever. Wherever He was, or whoever He was with, He was fully in the moment and fully committed to His goals. Despite praying fervently in the garden of Gethsemane to avoid having to bear the cross and all that physical torture, He knew it was the only way to pay for everyone’s sins, so He stayed completely committed to His goal. There were certainly many obstacles during His ministry, but He stayed on track and finished strong. No matter how busy His ministry got, He found time to be alone and pray. Whether it is in the garden of Gethsemane, across a river, or on a mountaintop, Jesus disappeared for a while in order to pray to the Lord. People always tried to find Him, and He never turned them away, but He also made sure to make time spent with His heavenly Father a priority. There were certainly times where Jesus used stern words, but He knew when gentleness was appropriate. Children seemed to love coming to him, and He made sure the disciples knew not to hinder them when they did so. When speaking with His disciples, mother, or other ladies, He could be very kindhearted and gentle. But, when He was giving someone a rebuke or making a point in an argument, He knew when turning up the heat was necessary and only did so strategically. Throughout the gospels, Jesus clearly gets portrayed as a very patient man. After all, He was surrounded by disciples who constantly doubted him, Pharisees and Sadducees who continually attacked Him, and large crowds who wouldn’t leave Him alone. Despite all of that, He kept His composure and responded appropriately to every individual. Before His ministry was launched, Jesus spent time being tempted by the Devil in the wilderness. Although He was offered food, power, and many other things, Jesus controlled His desires and submitted them all to the will of the Father. Yes, He had desires for food and such, but He had a greater desire to obey the Lord and accomplish what He set out to do. Jesus had every opportunity and right to demand praise and accolades for His miracles and teachings, but He never did! Even when the crowds sought to make Him king, He rushed away from their grasp. He did not want to become a sideshow performance that people could enjoy. Rather, He wanted to seek and save the lost and offer forgiveness for sinful people. Yes, He could have traveled around in order to show off His powers in other towns, but He chose not to. The world doesn’t need more role models, it needs more of Jesus—the ultimate role model. People will not find a better person to emulate positive character traits from than Jesus Christ himself. Michael Krauszer is the owner/founder of Christian Literature Review, a website dedicated to providing christian reviews of various types of literature–from movies to books. He has a BA in English from The College of New Jersey and utilizes that for the reviews on Christian Literature Review. If you’re an author and would like him to review your book, contact him at Mike@Christianlitreview.com. Great article., Yes Jesus is the best role model of all time. On my kitchen chalk board is written: What would Jesus do? I see it every day several times a day and it reminds me to walk like him and to feel as though he is actually standing nearby, watching me. Loved this article writer, keep them coming. May you be blessed abundantly, this was just what I needed. I thank God for this wonderful teaching is awesome, the message of the hour, am blessed. Love your article.. Thank you for sharing. Thank you for the teachings… i am blessed. May i receive your staff (articles) through my email. Great article. Just wondering why His character in 1 Peter 1:15,16 didn’t make it to the list. Good point sir. Thank you Zechariah. Very good! My friend loved it! As well as I did! I had to use this for a report and it was soooooo helpful. I might just read this for inspiration every morning.